We are hiring 50 Functional consultants as Associate consultants SAP S/4 HANA, Training in SAP S/4 HANA will be provided, candidate has to undertake an agreement on staying back post training. Knowledge on the Inventory movements, BIN concepts and Stock Taking for example. Knowledge in AR,AP, Asset Accounting and Balance sheet finalization and Audits and the local compliance requirement. Supervisory level knowledge on project execution and planning in WBS level , Tasks etc. Should be IT Savvy and posses excellent written and oral communication skills, with a desire to learn. This is a chance for those looking to change over to IT from a non IT field. For Finance and Costing candidates with Domain experience or Working on internship with CA or cost accountants are welcome. 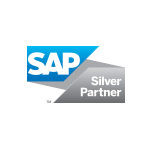 We are Hiring for SAP MM Trainee Position. Candidate should have minimum 2 years of domain experience. Should be trained in SAP MM. We are Hiring for SAP PS Trainee Position. Should have good domain experience(Must). Should have knowledge on Project Systems, planning, Cost Planning, Scheduling. Candidate should be trained in SAP PS. Looking for SAP CO Trainees. Candidate should have at least 2 years of domain experience. Should have taken training in SAP CO.
We are Hiring for SAP PP Trainees. Looking for SAP PP Trainees/PP Freshers. Candidate should have min 2 years of experience in Domain for SAP PP. Candidate should be trained/certified in SAP PP.